What is the 1parkplace Five Star Success plan? The 1parkplace Five Star Success program is a hands-on collaboration, a strategy consultation and implementation service designed to help you sell more real estate. Our Five Star Marketing program is a balanced system and process to build relationships with clients and prospects that combines the effective use of Websites, eMail, social marketing, Direct Mail, phone and a good old-fashioned handshake. 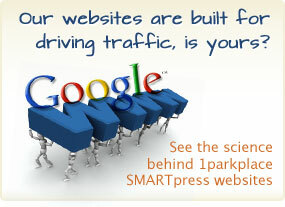 Why do I need an eMarketing plan from 1parkplace? Studies from the National Association of Realtors and the California Association of Realtors show that almost 97% of homebuyers use the Internet to start their homebuying process. 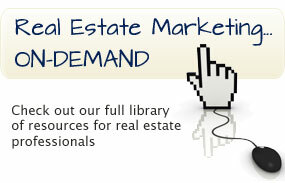 These people believe that the Internet will give them detailed information and save them time in their home search. However, studies show that less than 10% actually choose their agent from the Internet search they perform. This is why it’s key to connect with your community and engage your audience so YOU are the one they choose both online and off. The 1parkplace Five Star Success Plan gives you the system to leverage your existing or new tools to attract and retain all of your real estate clients with a focus on engagement that sets you apart from your competition. What does the 1parkplace Five Star Success Plan include? Your 1parkplace Five Star team will dive deep into the activities that make you money so you can earn more referrals, be consistent in following-up, position your website and promote your specialization. Most of all, this program is easy to use: you don’t have to be a computer genius to take advantage of this unique and powerful program. The 1parkplace Five Star Success Plan is your personal pilot that is designed to help you work smarter, not harder.